He Ain’t Heavy. Thoughts about Siblings. Siblinghood happens in an instant. Reshuffling the family order is always something of a shock to the other kids, not unlike an unexpected divorce or sudden career change. Akiva’s birth made Natan, just shy of 7, officially the eldest boy and Gabriel, who was 4, the middle child. 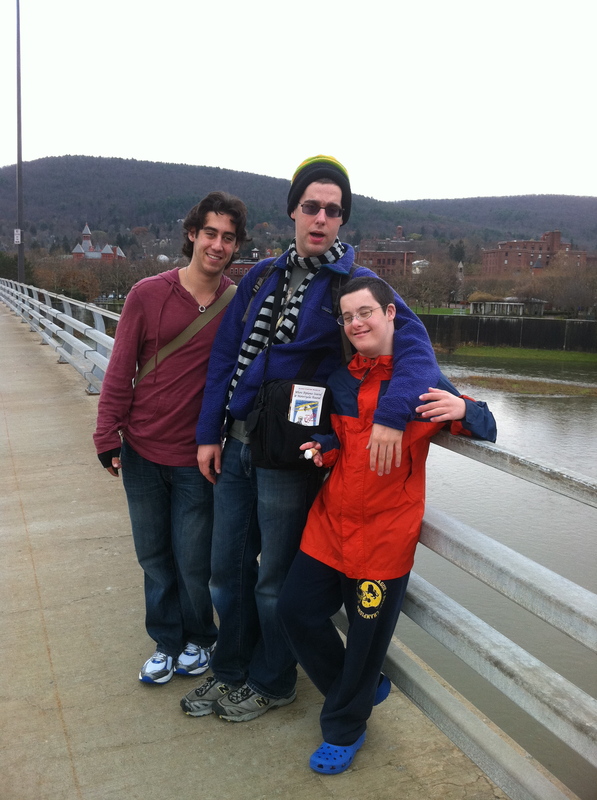 Our boys, who were homeschooled, played an intimate role in Akiva’s life in the early years. 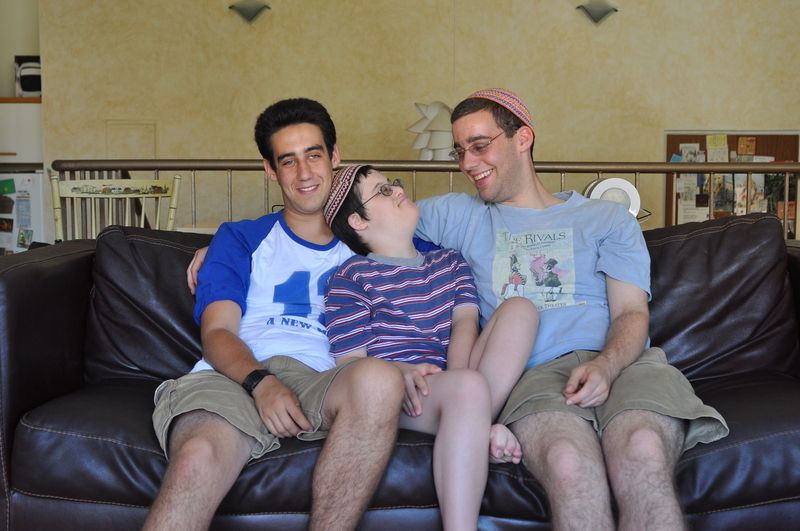 They were around in Akiva’s everyday life, doing their little-boy thing, and remaining part of our family’s adjustment into the world of disability. The big boys were part and parcel of every element of those early years, from daily home-visits by therapists from the time Akiva was about 6 weeks old, to trips to doctors and other practitioners, like Auditory Integration Training (AIT), Cranio-Sacral Therapy (this after Akiva’s hospitalization for epilepsy), Yoga for the Special Child, and whatever constituted part of Akiva’s program of wellness and development. We tried a lot of things. The kids have their own memories of each office and each therapist, including their favorite mind-numbing-and-much-watched, animated version of Charlotte’s Web at the Beth Israel offices of Jane Madell for AIT, the Starbucks at the corner near Chris’s Craniosacral therapy office on 61st street, and the endless cups of tea brewed, accompanied by Natan’s earliest cooking experiments, his special cinnamon toast, made for therapists who came to the house. There are the routines remembered to this day: Jeff the PT’s workout song, Mike the OT’s patter while working with Akiva, Denise the special educator’s sort of offkey songs, and Tom the PT’s arrival, much like the postman, on his bike regardless of the weather along with his tireless efforts to get Akiva, who was a really late-walker, up and moving. We spent literally hours with each of the aforementioned people, and many more wonderful professionals, often socializing as Akiva slept through a therapy appointment, tired out from the morning visits. I was thinking about all of this because of the story of the Long brothers, winning 2012’s Sportskids of the Year, a few weeks ago. A truly inspiring story of brothers doing things together – grab a tissue before you watch it – there are two things that stand out for me as a mother and advocate. Connor Long’s dedication to doing stuff with his younger brother, Cayden, despite disability, and Cayden’s joy at getting to be a part of the action. I remember summers in the Berkshires, where we traded Akiva’s bike seat and later bike trailer around between us. It was a point of pride to shlep him up a hill and show your manly strength. He joined us on hikes, carried mainly by me, and by the boys for short stints until his legs hung down too far in the special backpack I found for him. The boys invented “Akiva Ball” as a way of sharing their love of basketball. Akiva made the pass and the boys finished the “alley oop,” while holding him up as close to the basket as they could, especially when he was still small. “Wanna slam dunk,” Akiva would crow with glee. Sometimes I worried Akiva would go sailing through the basket but I don’t think he would have minded. Akiva was included in many fictitious games the big boys played together, as well as given the role of superhero by a close friend of theirs, who took famous sayings of Akiva, such as “want toast,” and incorporated them into creative adventure stories. And then it got more complicated. They got older, growing far beyond Akiva’s scale of development and interests. 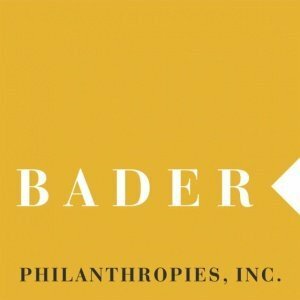 They took on care-giving roles, pleased to help and pleased to do their part for the family – reading books, singing favorite songs many, many times, and the even harder stuff like giving a bath, and assisting with toileting duties. The funny thing is that even with managing stuff that brother’s don’t generally do for each other, Akiva retained his place in their hearts, their minds and their guts. They defended him, explained him and protected him and to this day, if Akiva is not at home on a Shabbat when they are, they make fun of his antics in the most loving and hilarious of ways – they know every game, inside and out. And they enjoy the brotherly exercise of horsing around with their brother, even when he’s not home. As parents, Ira and I have leaned on our boys – often heavily – expecting them to step up to the plate as caring family members. Someone once told me that Akiva “shouldn’t be a burden on them,” something that we’ve rejected as a family. Life lived with family and love means being able to be a burden on someone and being grateful, yes, being grateful for that opportunity. Without it, our lives would be that much the poorer. Our big boys are building independent adult lives, as they should, but Akiva’s needs will and should always be important to them. That’s a good thing. Actually, it’s a great thing, because siblings rock. Siblings rock. I love it! Thank you Beth. This was beautiful reading! Thank you Beth for sharing this! Once again, Beth, you capture the heart of this beautiful story that is your life. You welcome us in and enable us to understand your experiences. Thank you so much. Thank you all for your comments. And, please share on your walls with your friends.